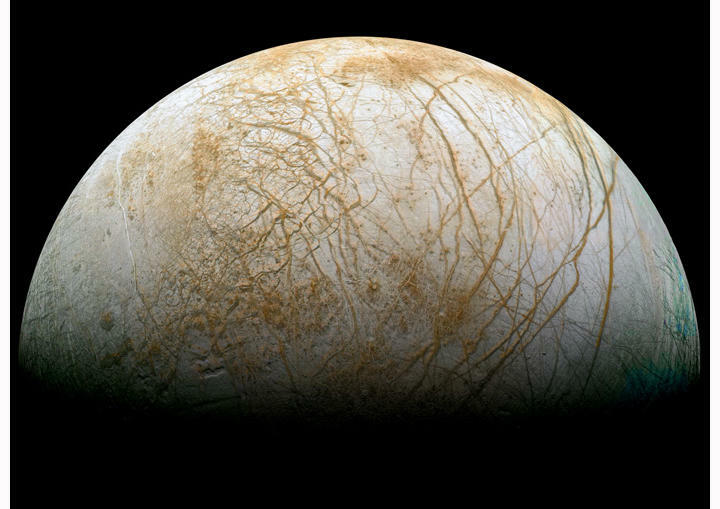 Plans to explore Europa could be put into action if NASA's new $17 billion budget request to Congress gets approved. The request was made jointly with the White House, and would see NASA go on an interstellar road trip to explore what is considered one of our solar system's leading candidates for life. As recently as December, observations suggested water vapor plumes were venting from the Jupiter moon; Europa has previously shown evidence of water, and NASA intends on further exploring this so-called extraterrestrial Atlantis. According to NASA's statement, the budget request is for fiscal year 2015, and includes funds for "the formulation for a mission to Jupiter's moon, Europa." In addition, NASA said the budget will help fund science missions already in motion, such as a mission to study Earth's magnetic system. NASA will also have the necessary resources to make "steady progress on the James Web Space Telescope," where the agency is focused on reducing fuel consumption, emissions and noise. Scientists have long considered Europa a major point of interest, and the recent vapor plume observations have researchers excited to find out more. The Jupiter moon doesn't look like much from the surface, just an iced-over tundra with nothing to offer. However, NASA is interested in Europa's subsurface, where an alleged ocean supposedly exists. James Green, head of NASA's planetary science programs, said investigating Europa will help researchers understand the chemical makeup of Europa, and determine whether or not it has a habitable environment. Much of NASA's immediate focus is on corralling asteroids and exploring Mars for signs of life—and there are many. But turning its focus to Europa means there is plenty more out there for NASA to study. After all, there are hundreds of planets out there, so we still have a ways to go before we even remotely begin to understand our nearest neighbors.